In January, PLOS ONE published an article which in several statements revealed itself as expressing creationist values. 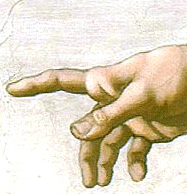 When discovered last week comments poured in to PLOS ONE and other online media, pointing to the numerous shortcomings of the article, including the references to intelligent design and specifically the design of the human hand by a Creator. I also commented on this case as follow up on an earlier blog post. Eventually, and conspicuously, PLOS ONE concluded that the article had to be retracted, the obvious conclusion of the scientists commenting on the article. Although there is still no explanation how it could happen, PLOS ONE is to be credited for taking a resolute action. It is interesting and reassuring also to experience that the scientific community is actually an alert and active watchdog, playing a significant role in defending science from scams. Case closed while still hot. What will happen next!? Posted in Electronic resources, Pseudoscience and tagged Creationism, retraction on 9 March 2016 by Sven Kullander.